Coupled with increasing oil prices, increasing awareness of the global impacts of greenhouse gases has led to concerns over the continued consumption of fossil fuels worldwide. Consequently, many developed and developing countries have considered the possibility of large-scale production and sue of biofuels, such as bio-ethanol and bio-diesel, as alternatives to hydrocarbon fuels. 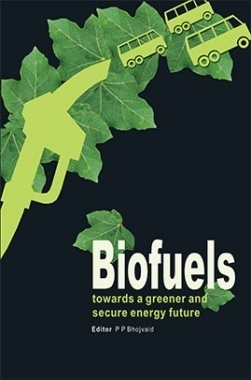 Biofuels: towards a greener and secure energy future provides an assessment of current practices and knowledge on the production, conversion, and use of biofuels, and is the result of experiences provided by a diverse group of distinguished persons who have been dealing with this subject for some time now. The book is intended to be a ready reckoner for individuals, farmers, policy-makers, researchers, automobile manufacturers, as well as agencies and institutions interested in taking forward the energy security agenda in general and the promotion of biofuels in particular.